The Run Free project fuses the movement discipline of parkour, physical theatre and storytelling to guide participants in exploring challenges and obstacles they face growing up in an age of unprecedented and unpredictable change. 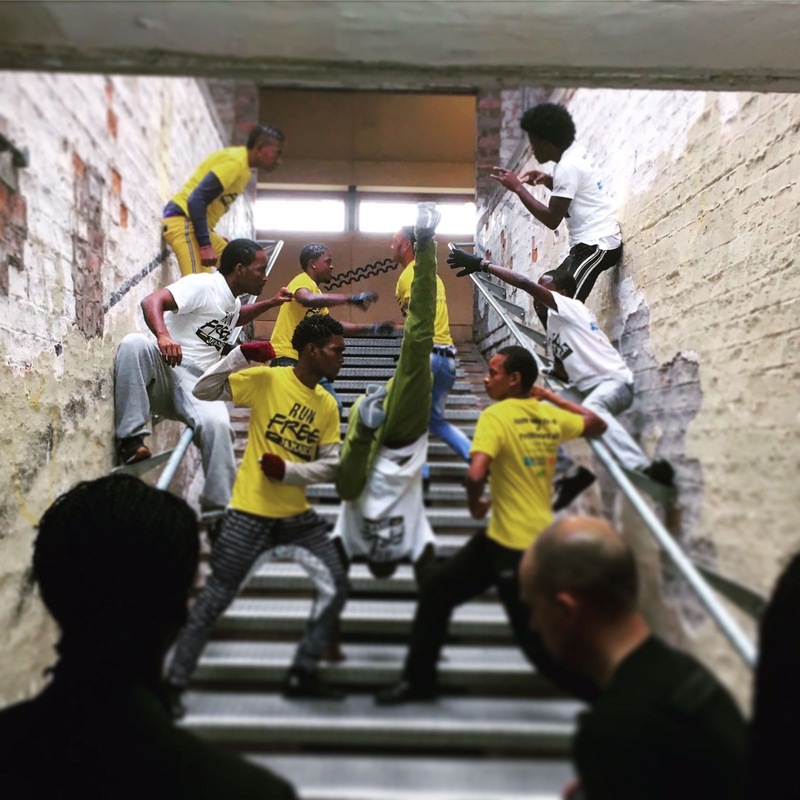 In October 2016, team Run Free was invited to perform their production at the Home Away Participatory Arts Festival in Glasgow, Scotland. We also produced a documentary chronicling the evolution and impact of the project during its four-year pilot, which was development and implemented in partnership with the National Theatre of Scotland and the British Council.